Plea Bargains Help Defendants Now: What About Later? HomeBlogCriminal LawPlea Bargains Help Defendants Now: What About Later? You have committed a felony, and have been recommended by legal counsel to accept a plea deal. Signing off on the plea deal structured by prosecution and your counsel, you accept the sentence that is given to you in lieu of going to trial. Provided you were not coerced into taking the deal, judges are inclined to sign off, remove your previous not guilty plea, officially sentence you, and then the matter is closed provided no restitution or court fees are owed. Can bargaining haunt you later down the road? 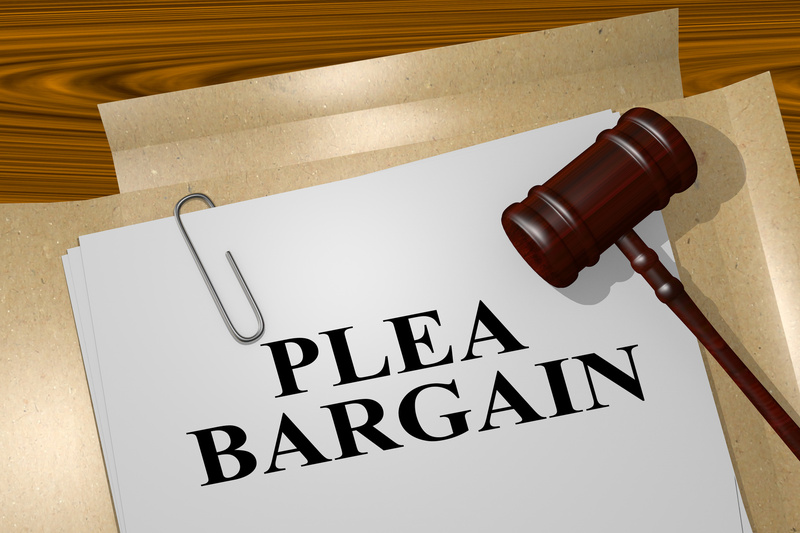 Let us look at plea bargains a little more closely to see. Jury trials are expensive, emotional, and expound significant county time and resources. When there are victims involved, facing the accused is often too much for them to handle. To avoid the expense and emotional toll of jury trials, prosecutors will often collaborate with defense counsel to strike a deal. This means dropping heftier charges and pleading to lesser included offenses, or if there is only one crime, recommending a preset jail sentence and/or probation. Defense counsel will either approve and draft the plea bargain, go back to the prosecutor and ask for reduced time behind bars, or reject bargaining altogether when sufficient evidence exists that could exonerate the accused. Roughly 90% of criminal cases in the United States undergo plea bargaining. It is the fastest way to solve cases where the evidence is overwhelming and/or those who are charged professed their guilt. Judges are not bound by the terms of plea agreements and may request revisions if the accused have prior criminal convictions. In some areas, judges will order probation departments to prepare a report with recommendations of plea acceptance or denial. Another type of plea bargain, open pleas, essentially throw defendants before the mercy of the court, giving judges sole discretion on sentence terms and length, and are only bound by state sentencing guidelines for the class of crime committed. Unless plea agreements are conditional, they are not subject to the appeals process. Conditional plea agreements can be structured where defendants accept their sentence but are afforded rights to appeal their conviction. Unless the person convicted of felony or misdemeanor crimes is inclined to re-offend, plea bargaining is much safer than jury trials, where convictions often lead to receiving the maximum allowable sentence for the aggravation involved with using 12 people to convict on charges to which the accused have already admitted. Jury trials are appealable; as stated above, plea bargains are not. Many who take plea bargains have professed guilt and just want to do their time, whereas jury trial rights are invoked because the accused feel prosecution lacks the preponderance of evidence necessary to secure a guilty verdict. In the rare cases in which plea deals are struck out of coercion or bribery, defendants would need to prove foul play to get the conviction overturned, which will trigger an automatic jury trial if the state is unwilling to renegotiate the terms of the original plea bargain. Plea bargains are an essential tool in American jurisprudence to streamline cases in which enough evidence to convict exists, and all other parties are willing to settle the case quickly. It should be noted that filing a fast and speedy trial motion normally does not disrupt the plea process. Can these pleas hurt you? Not actually, especially when defense teams have legal tools at their disposal like expungement. Expunging records and sealing court cases essentially blocks employers or anyone from seeing details regarding your conviction, and in normal due process, can not be used against those who re-offend at a future date. Moreover, felony cases that “pled out” but have matching or similar misdemeanors offer an opportunity for defense counsel to motion the court for sentence reduction (provided all terms of sentencing were met), effectively wiping away the felony you were convicted of, and entering a misdemeanor in its place. Similar actions can be taken for cases convicted at jury trial, yet the process may be a little different. Whether cases are taken to trial depend on the specifics. If an overwhelming amount of evidence is mounting against the defendant, it is probably a good idea to have defense counsel work with prosecution to secure a favorable sentence. However, if enough evidence exists that could prove them not guilty, defendants can go to trial provided their defense attorneys are skilled enough to prove their clients’ innocence. Plea bargain, or trial? 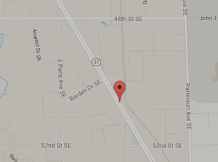 Let an experienced defense attorney help you decide. If you are looking at serious time behind bars, let an experienced criminal attorney in Grand Rapids help streamline your due process rights. Call the Van Den Heuvel Law Office to get started on your case.